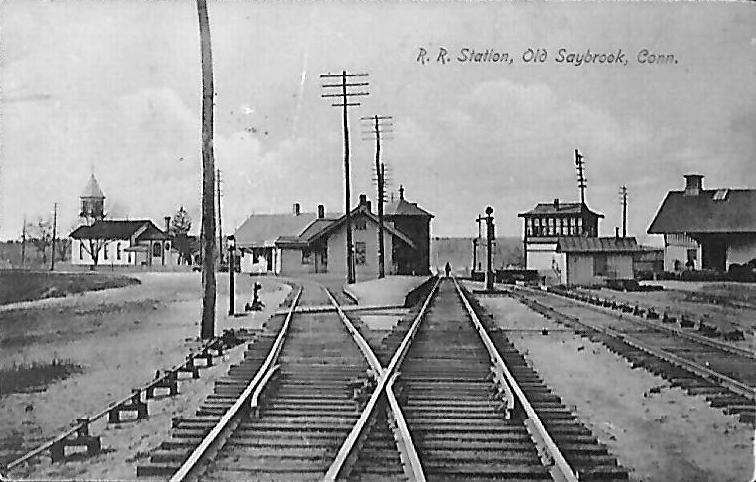 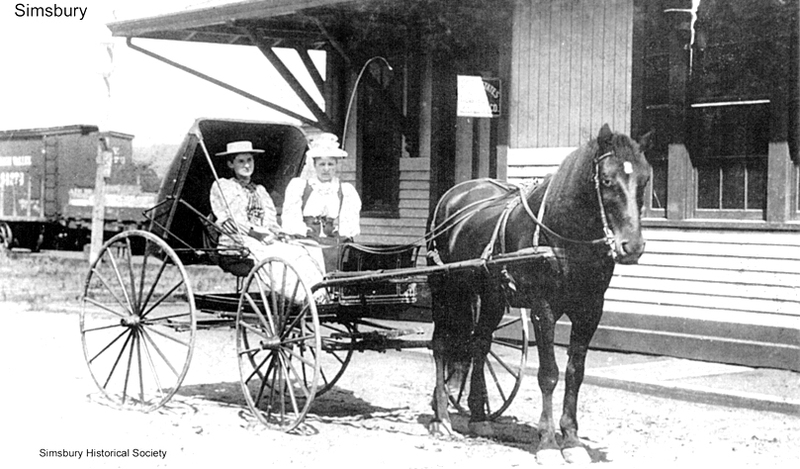 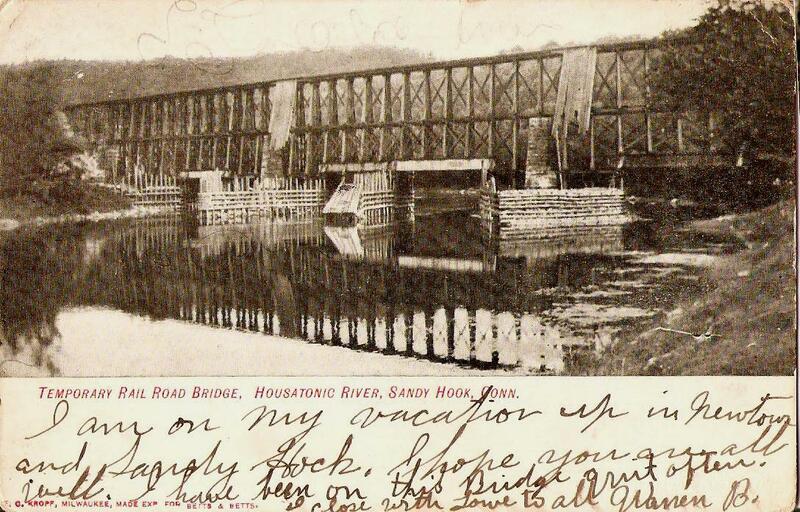 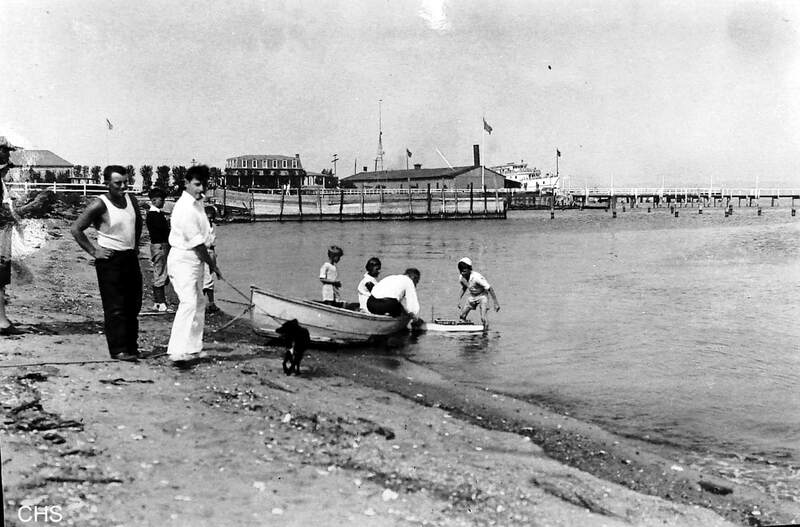 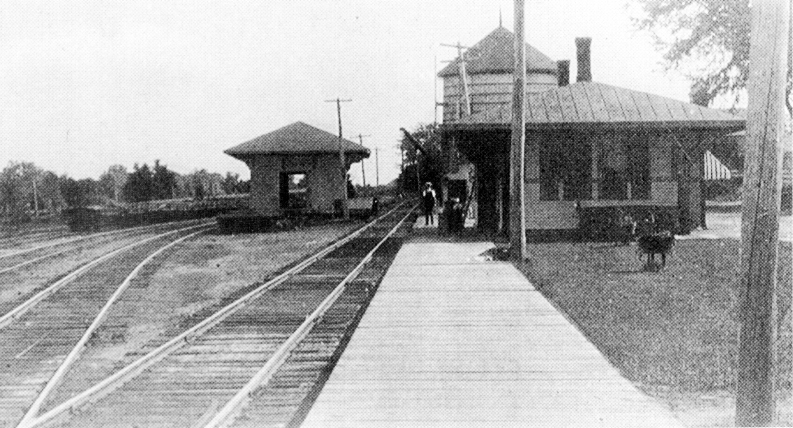 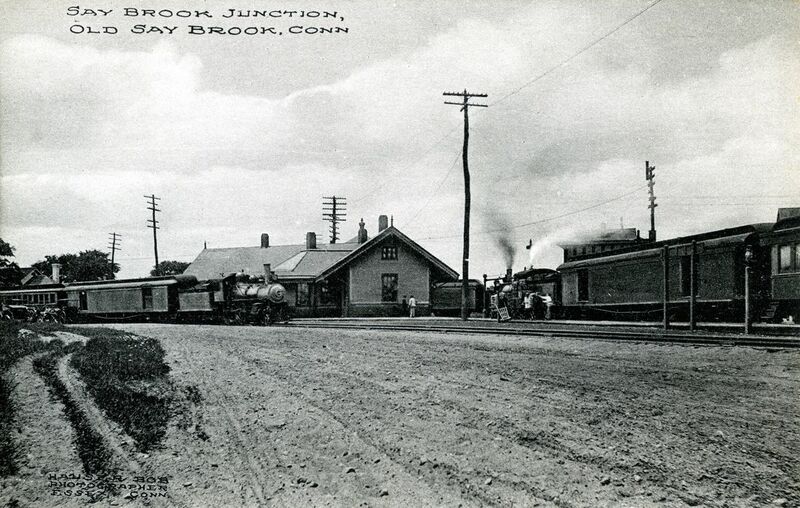 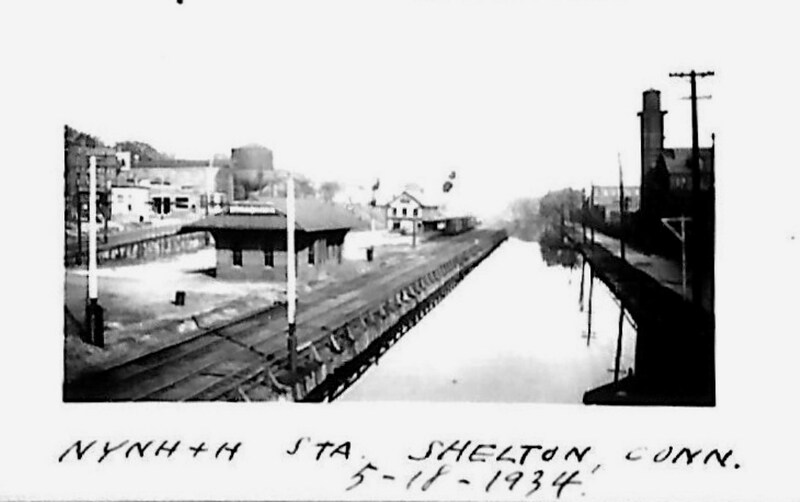 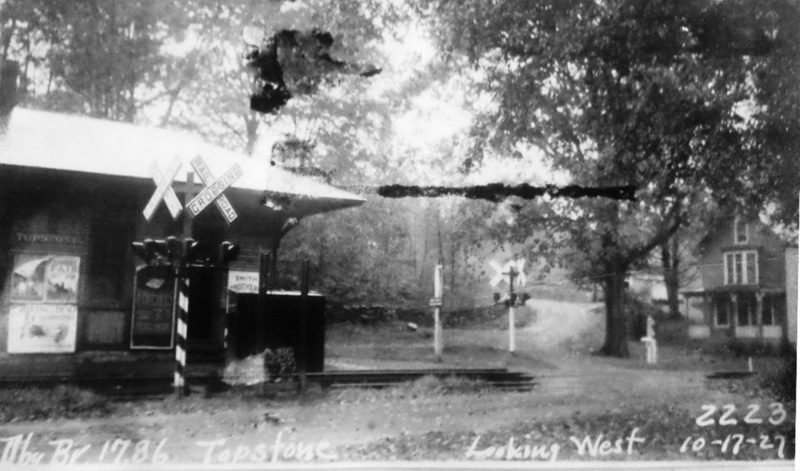 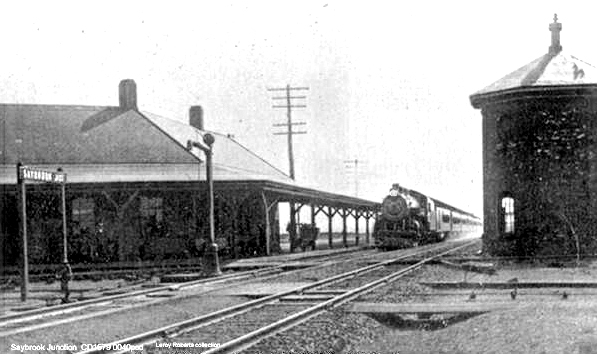 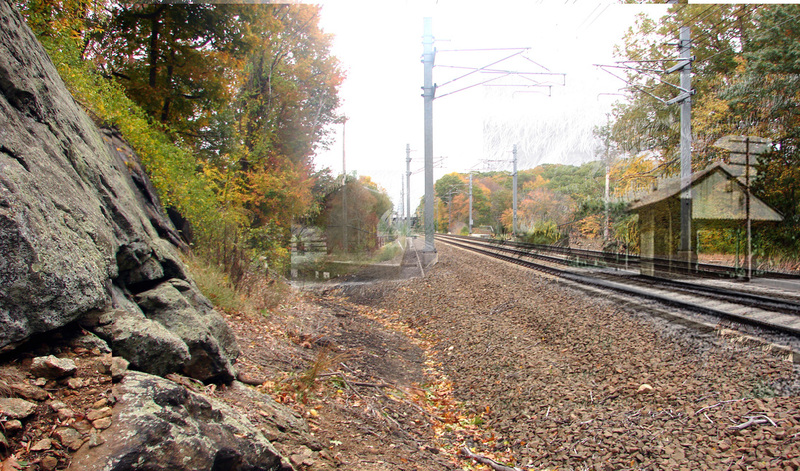 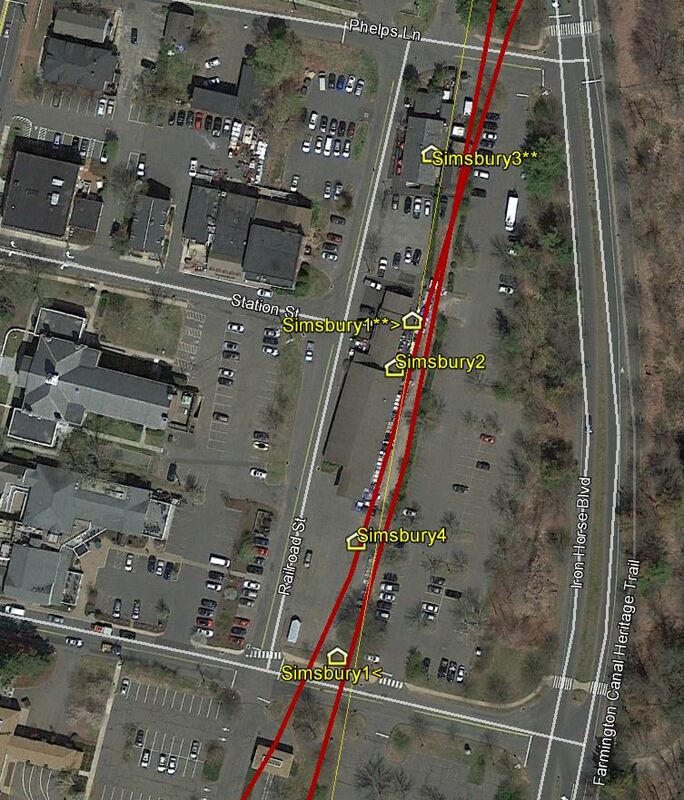 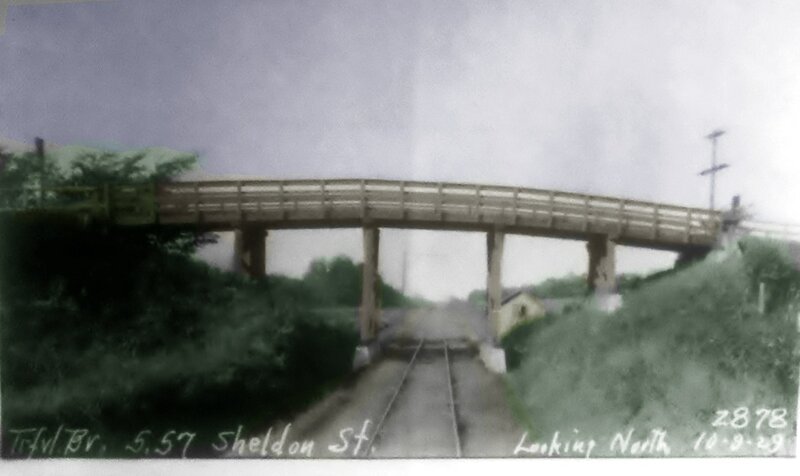 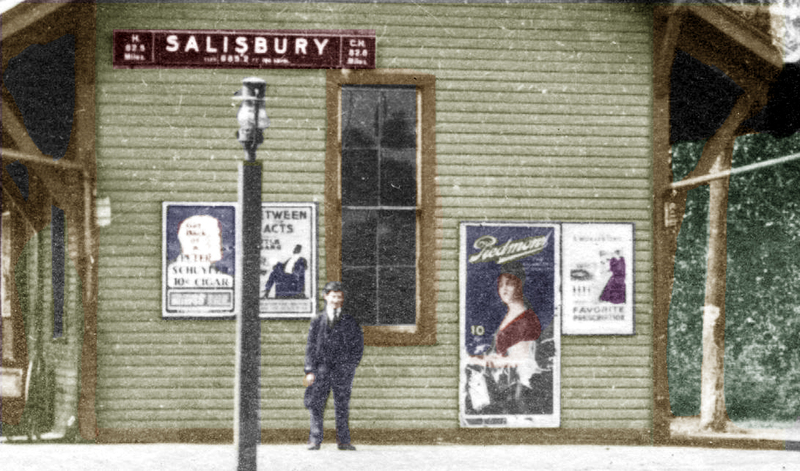 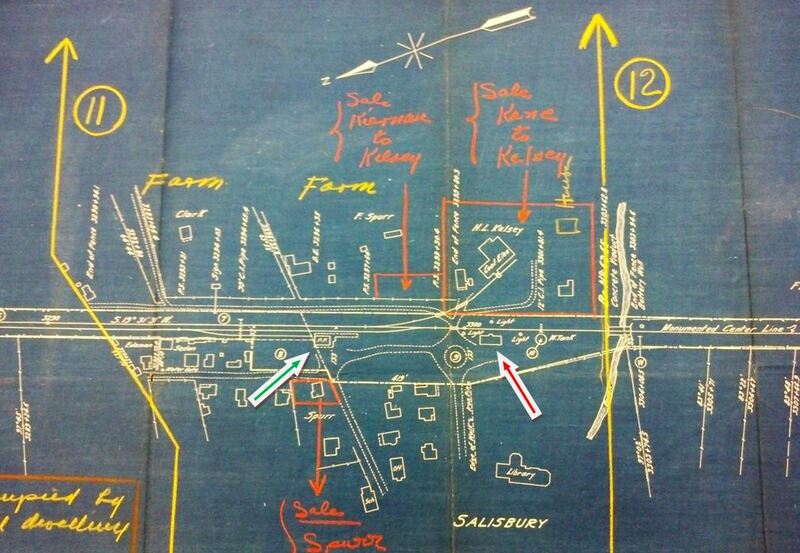 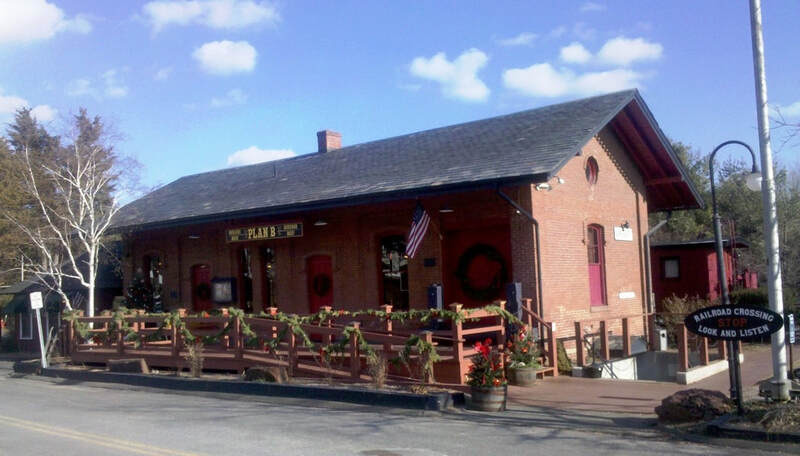 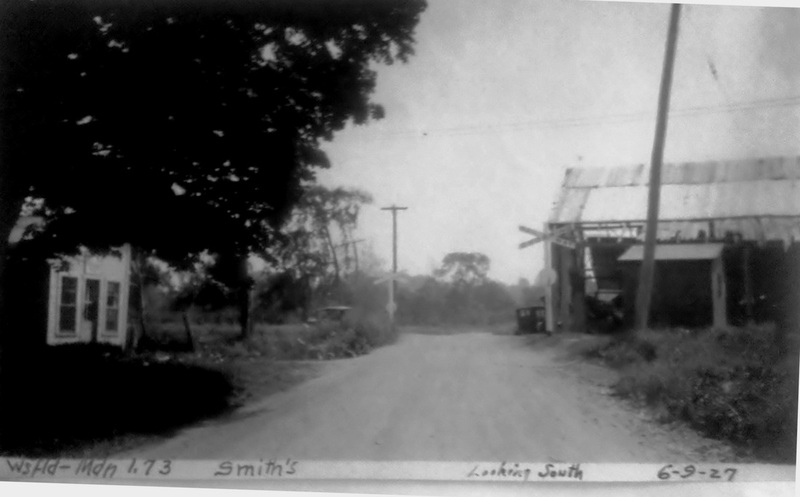 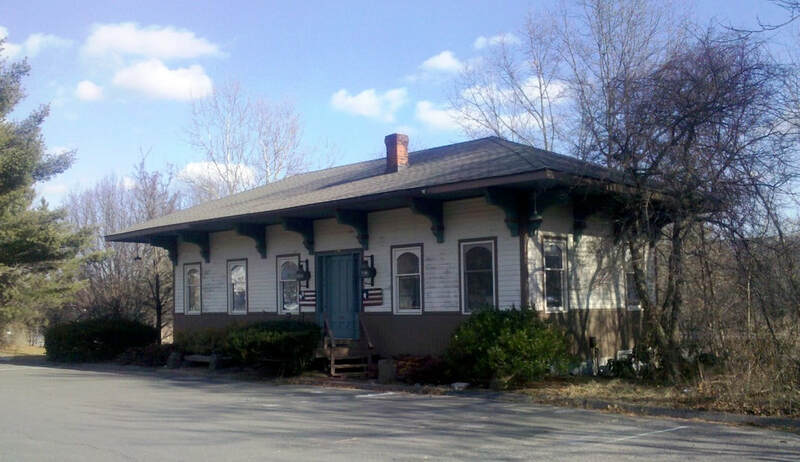 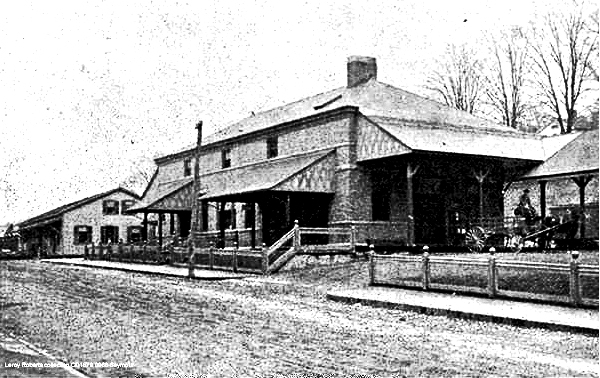 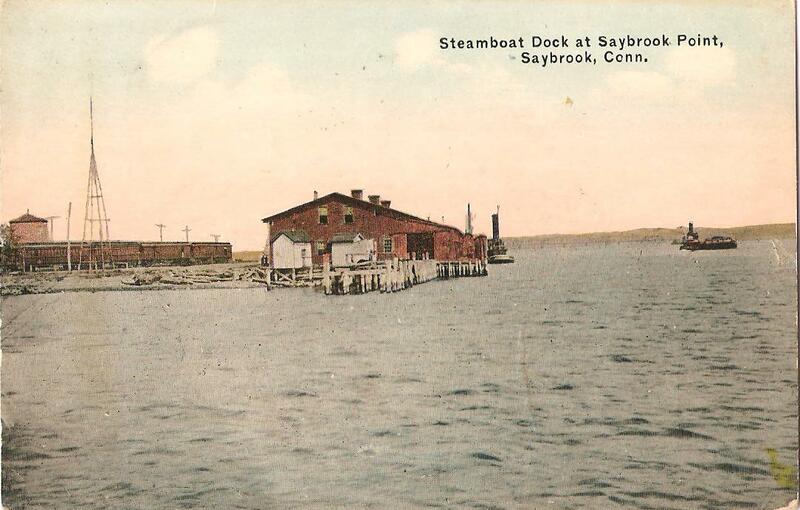 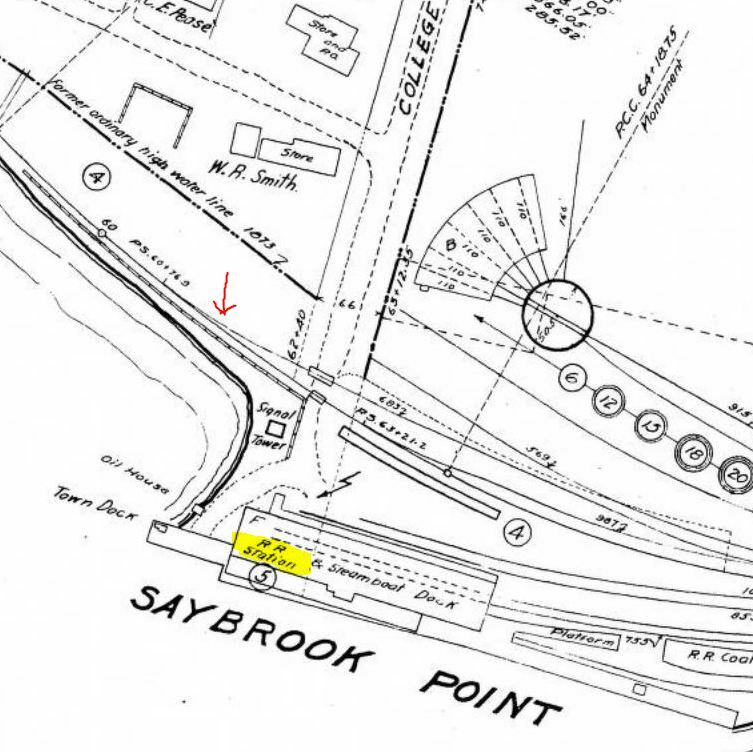 This stop in the town of Old Saybrook was established with the opening of the NH&NL in 1852. 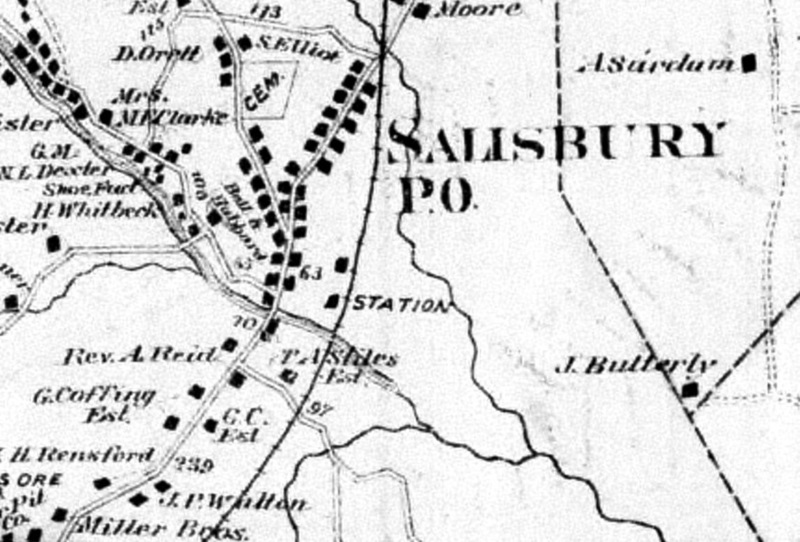 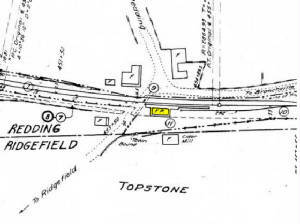 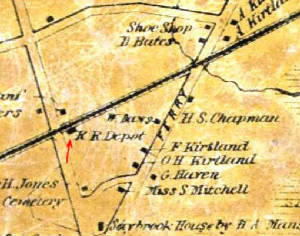 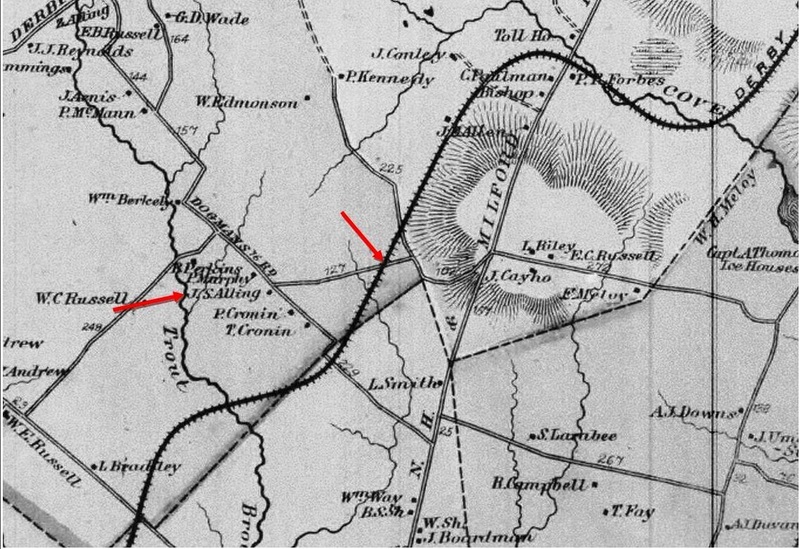 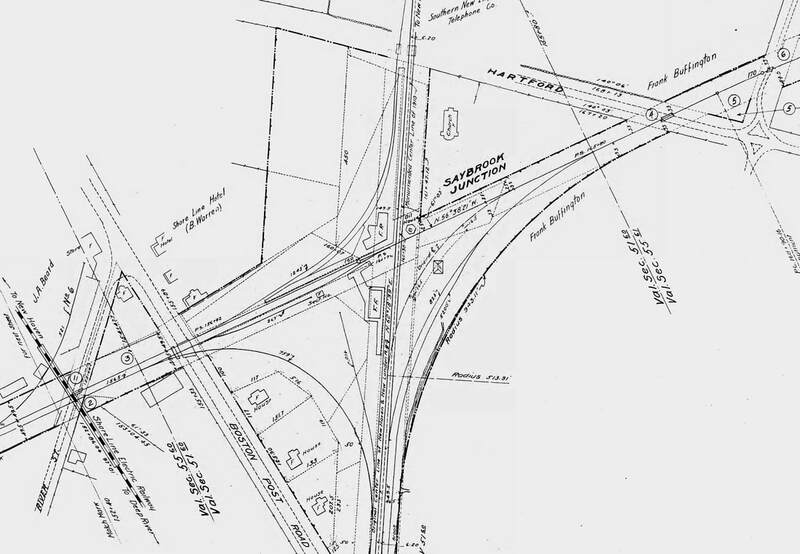 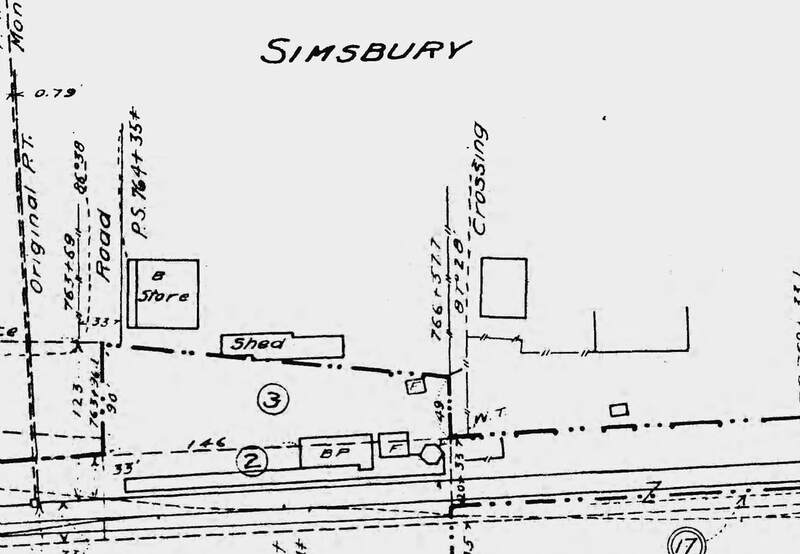 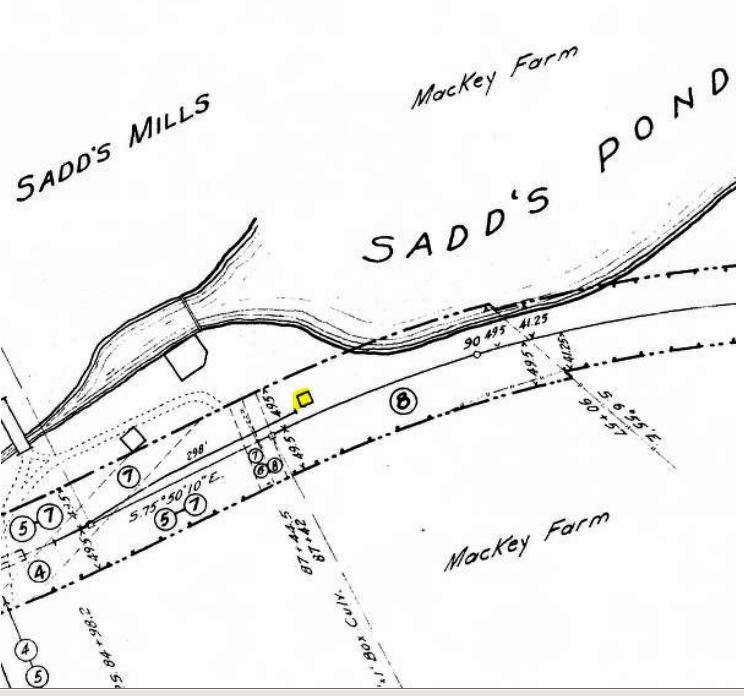 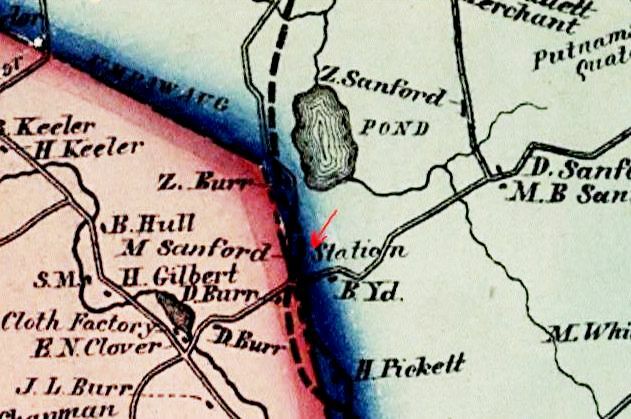 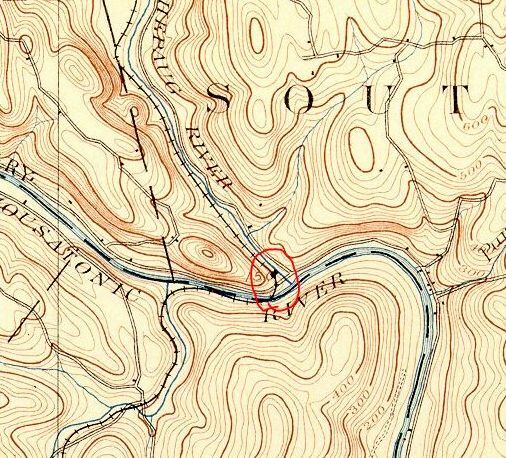 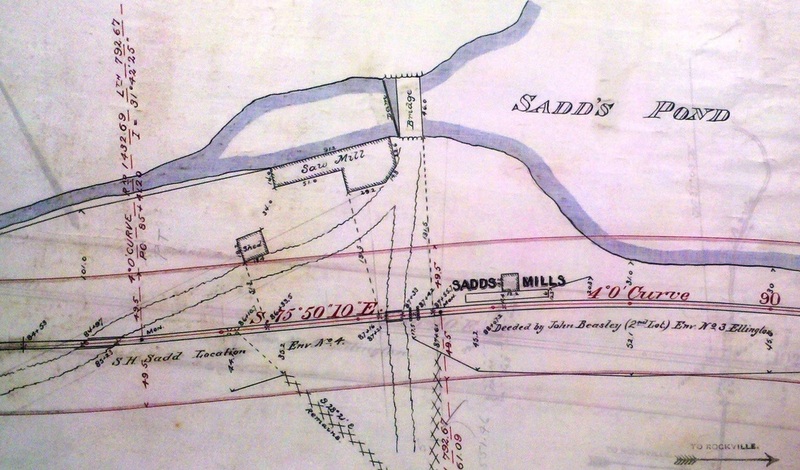 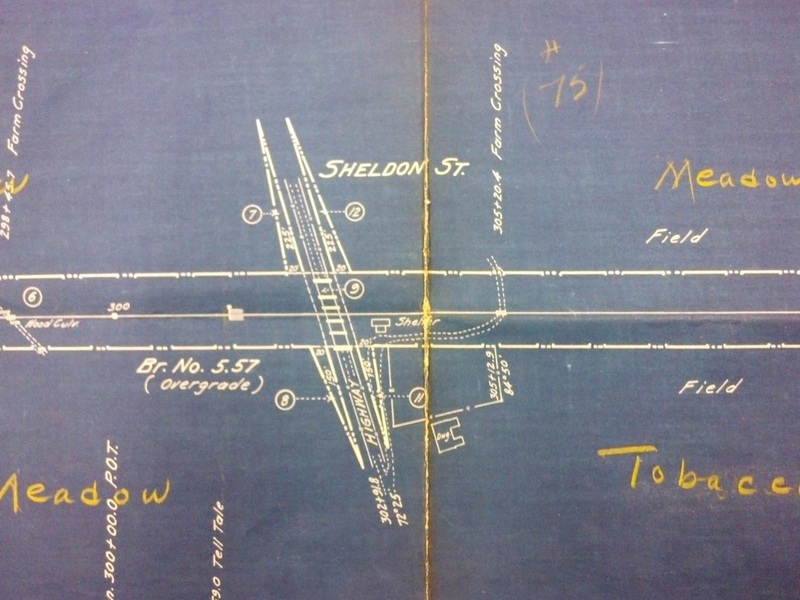 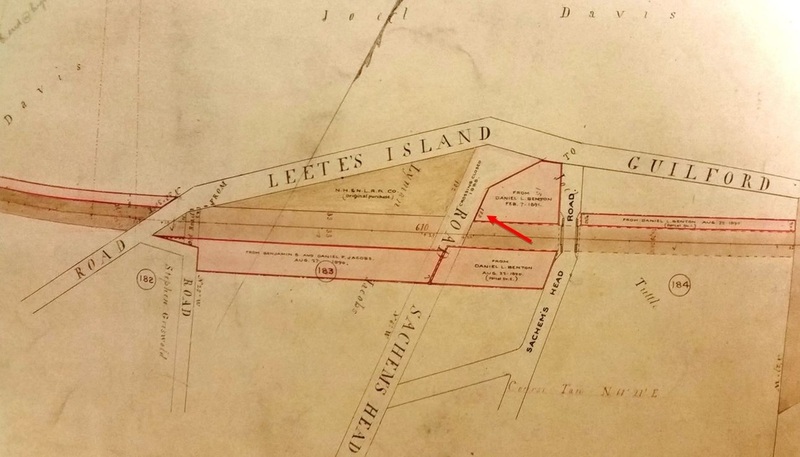 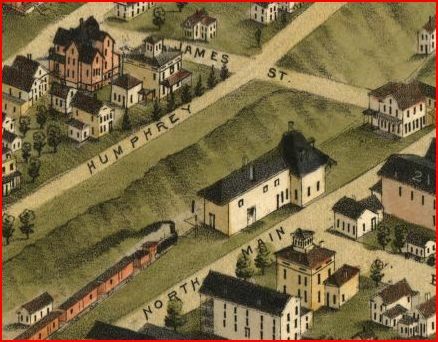 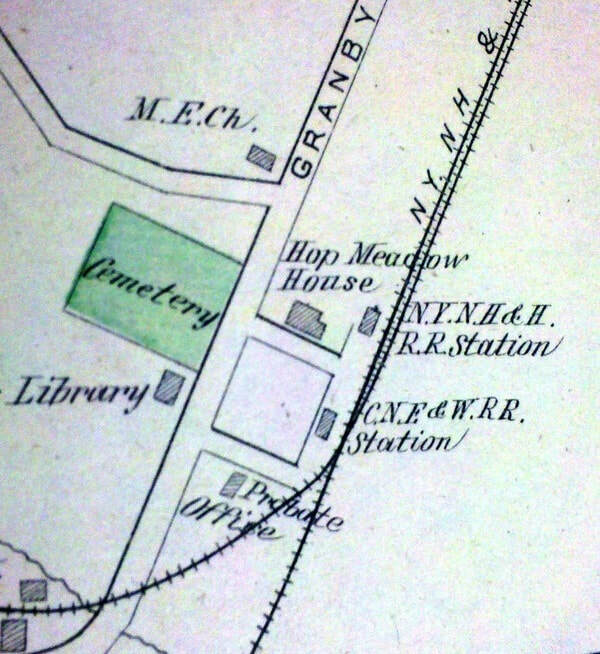 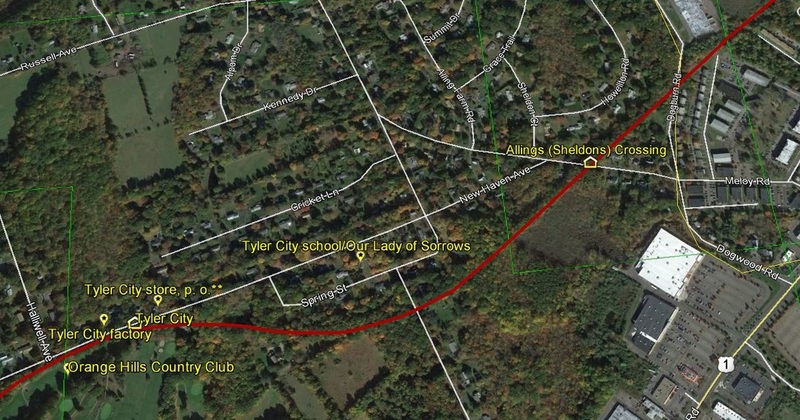 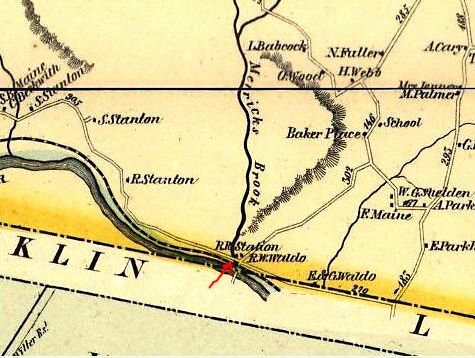 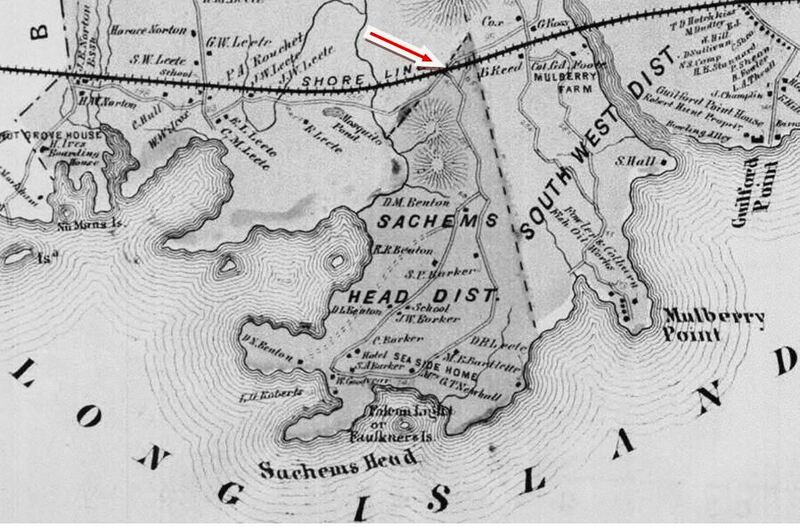 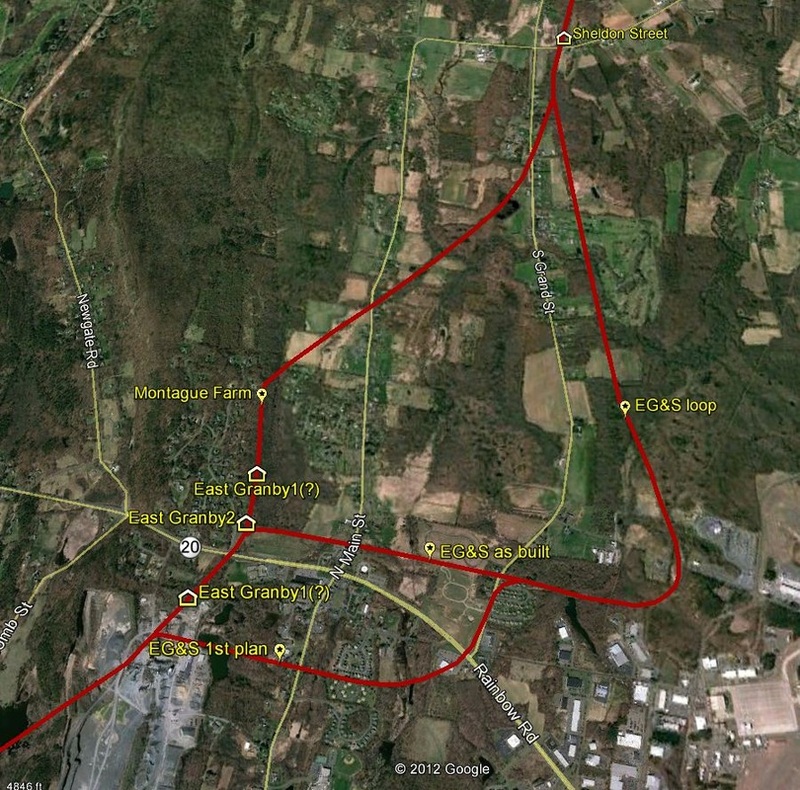 The location is seen on the 1859MC map. 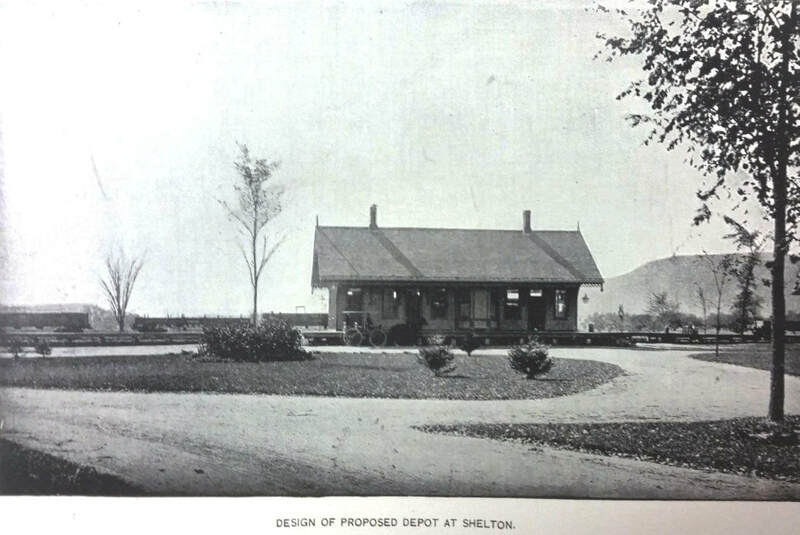 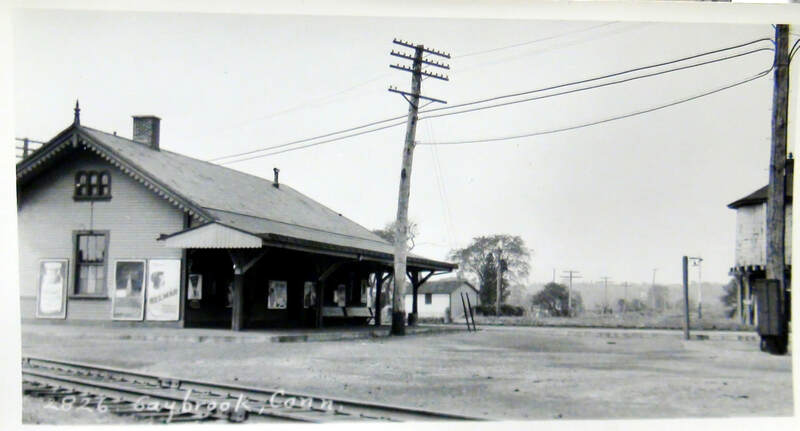 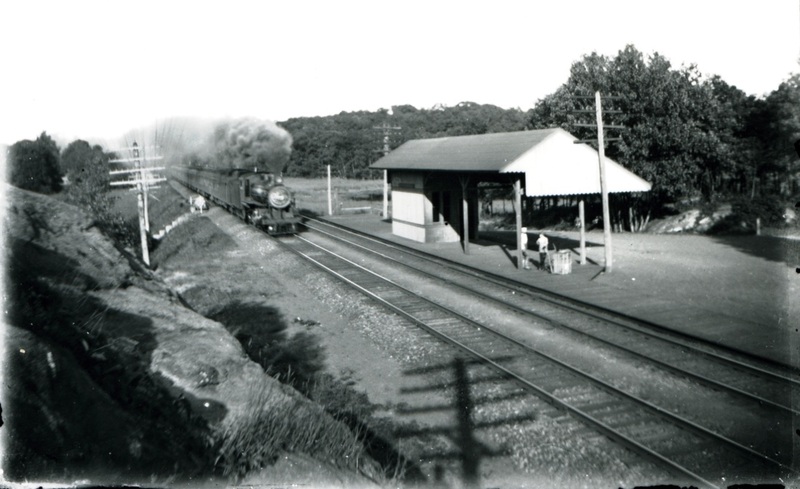 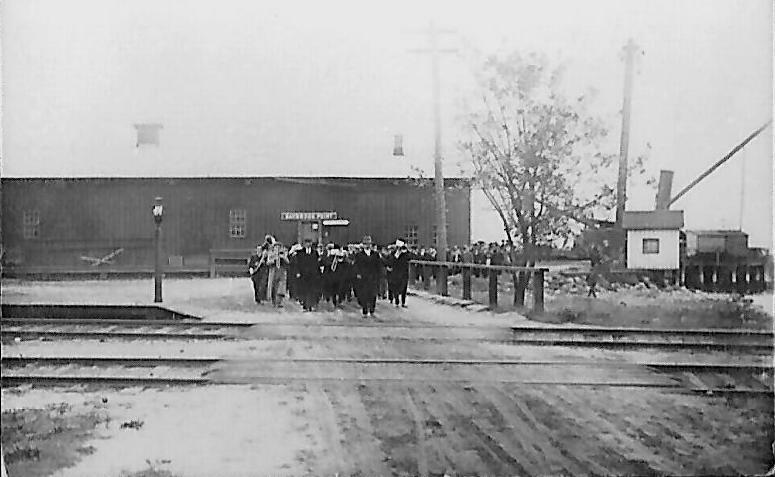 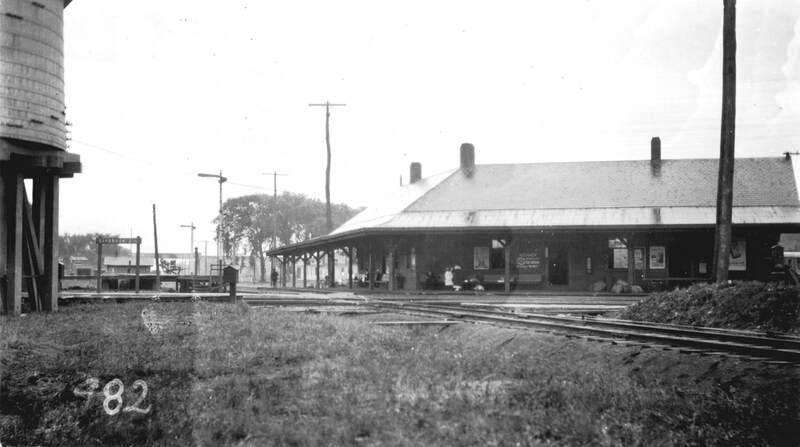 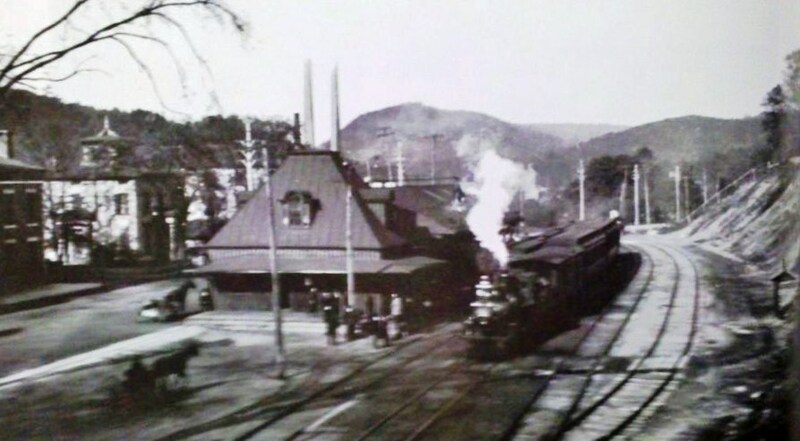 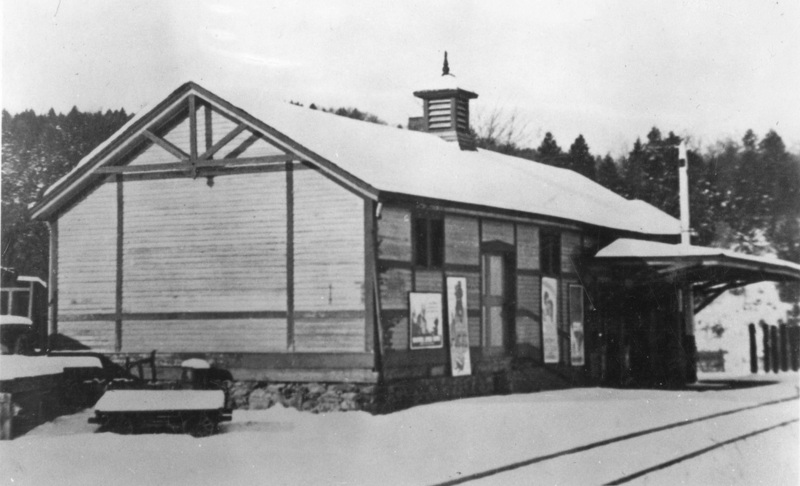 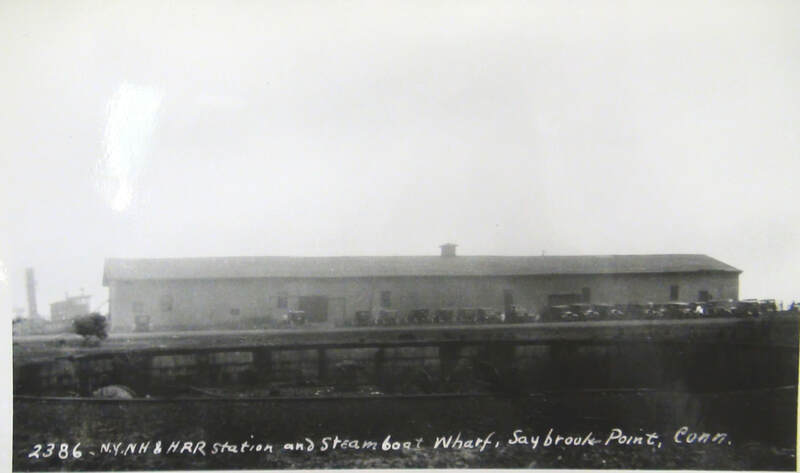 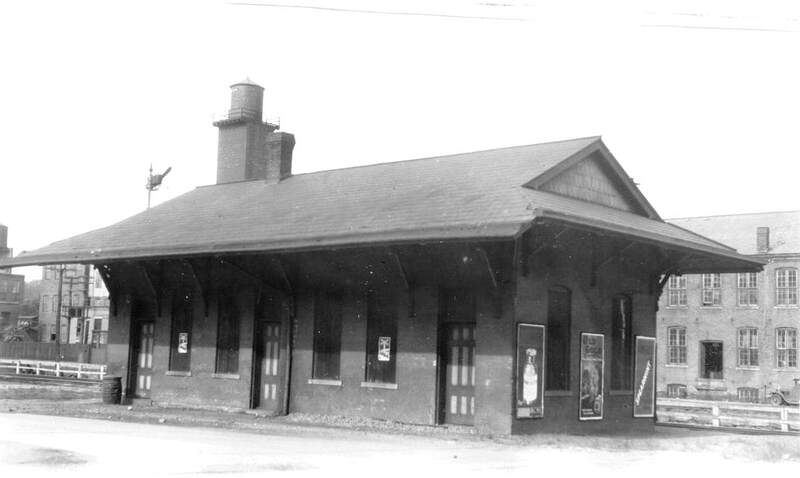 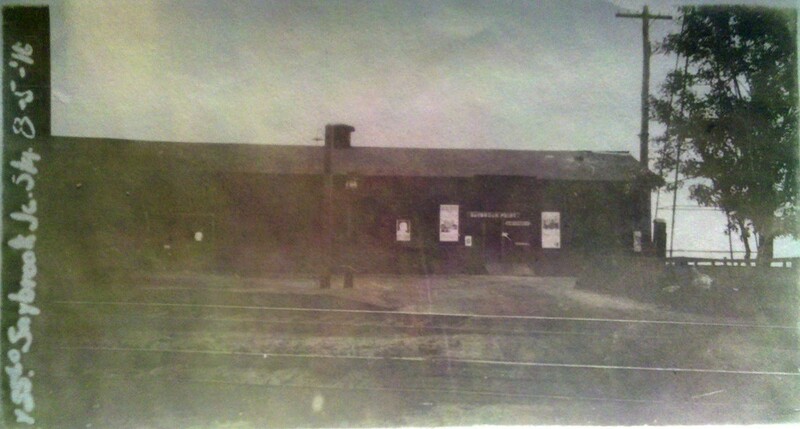 We have not yet found a photograph of this depot. 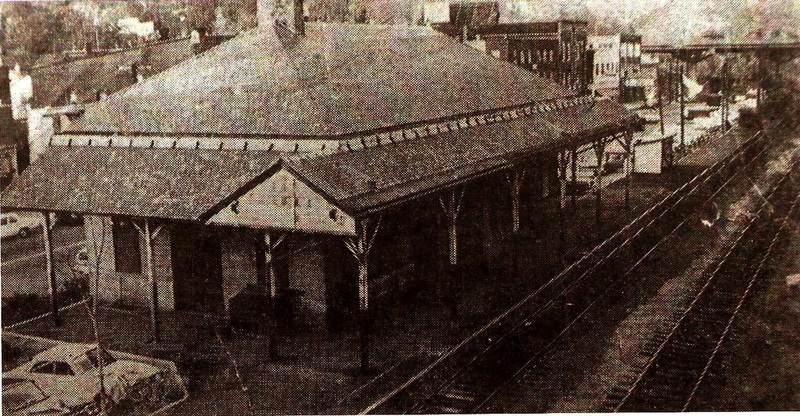 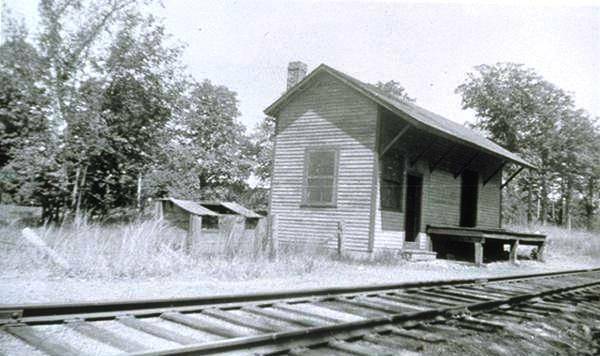 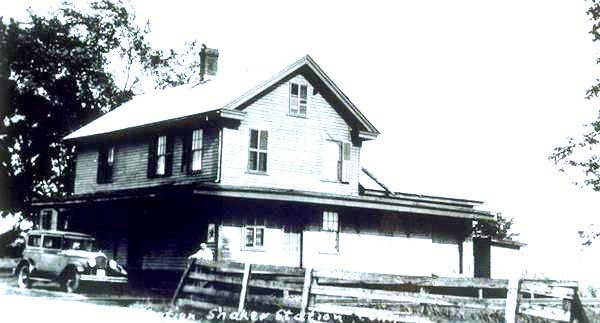 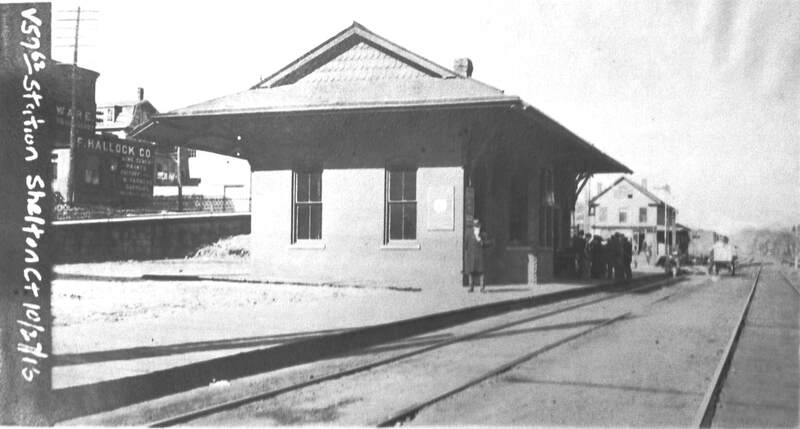 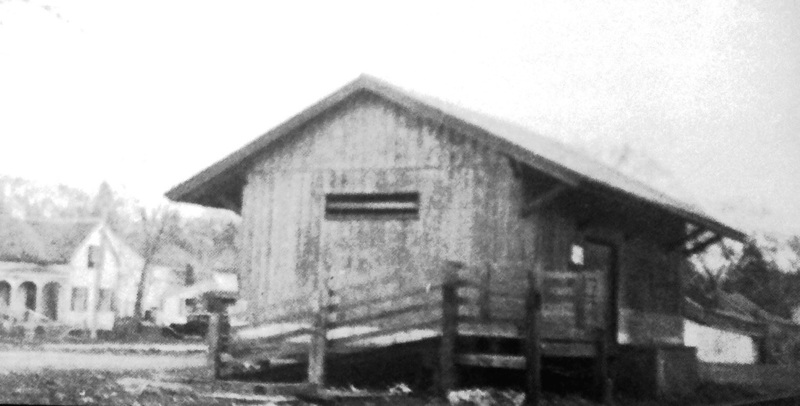 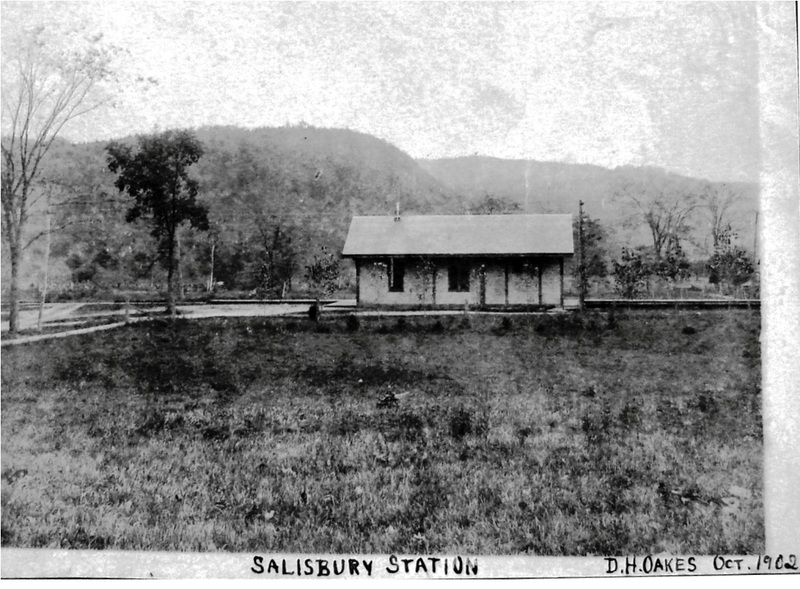 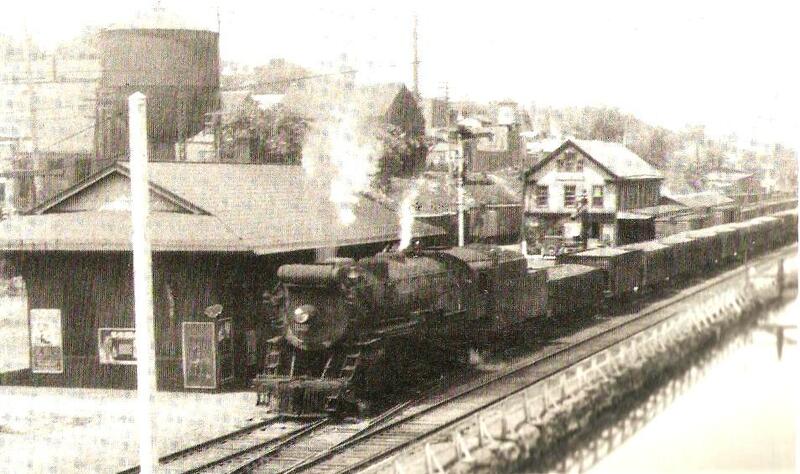 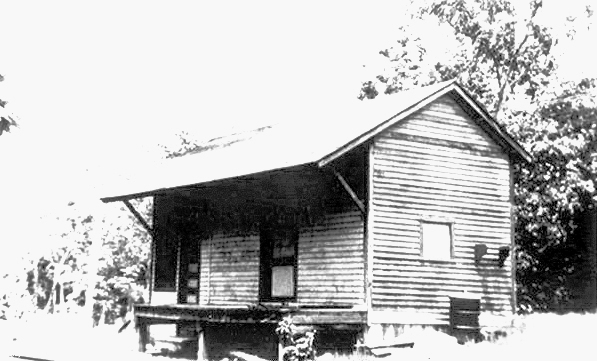 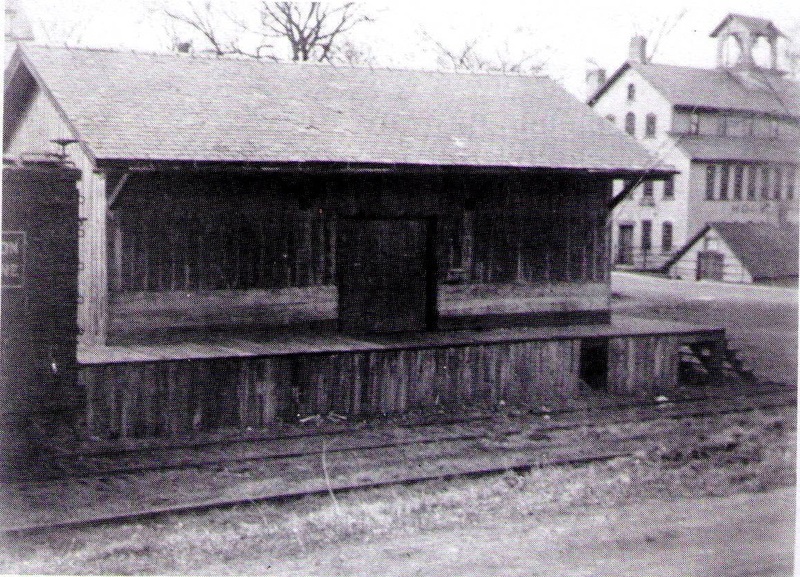 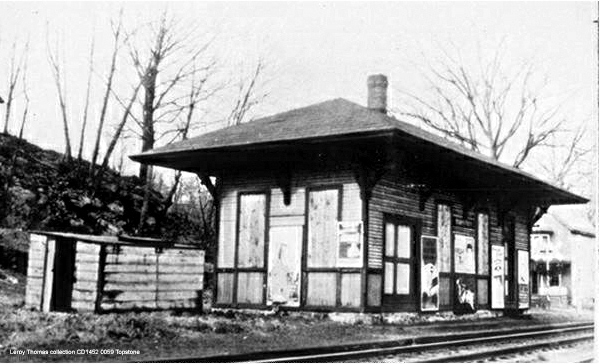 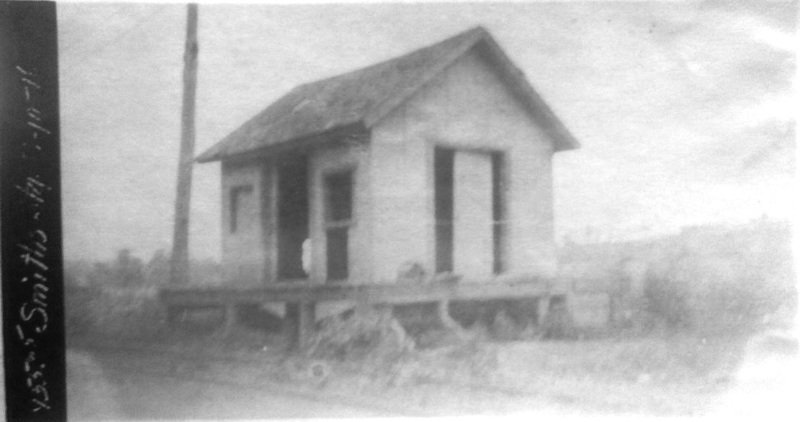 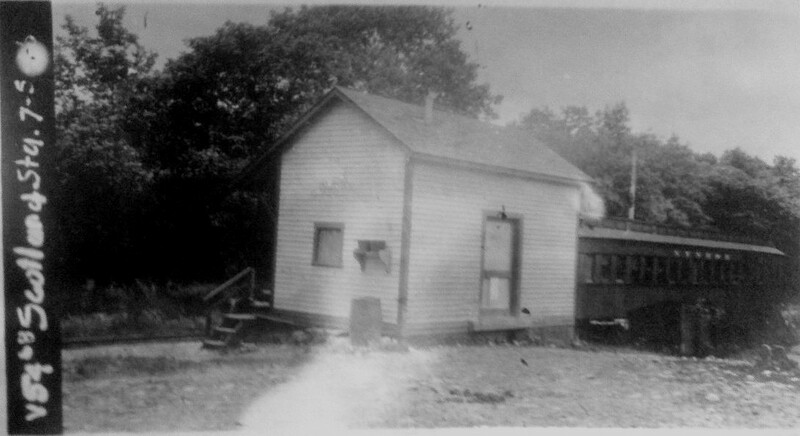 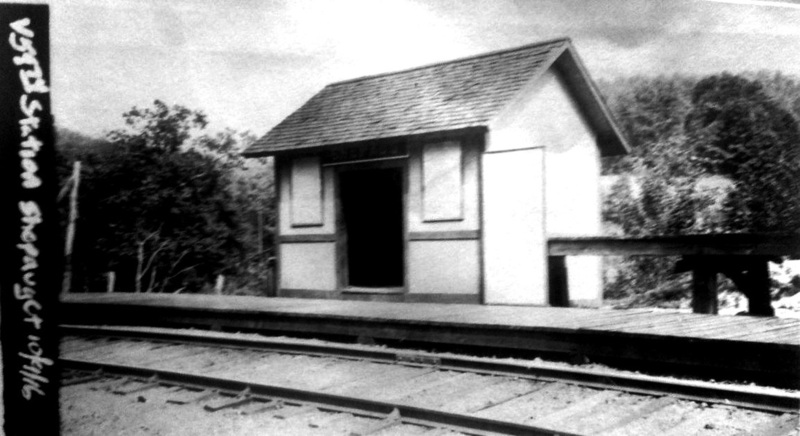 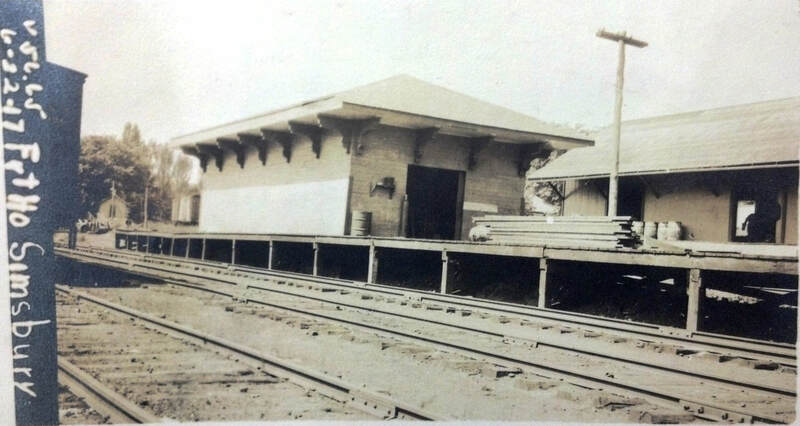 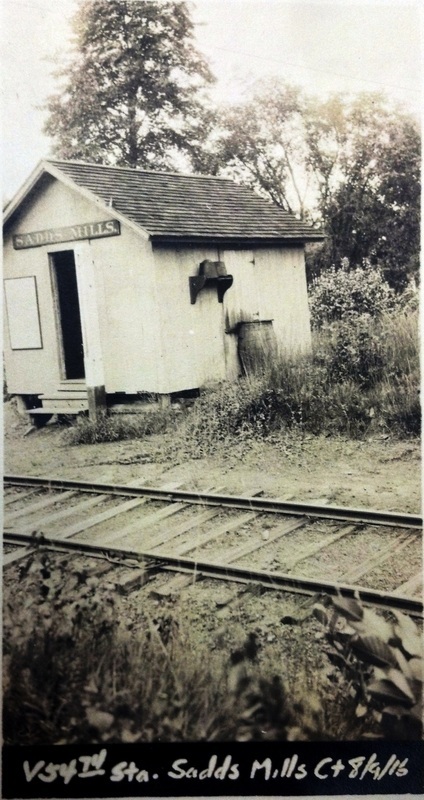 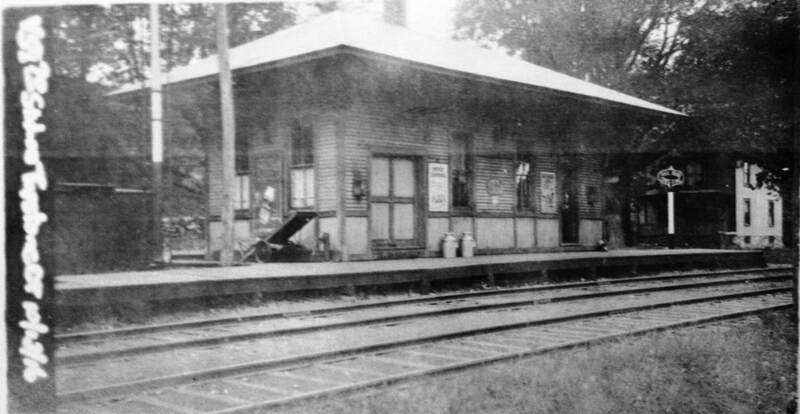 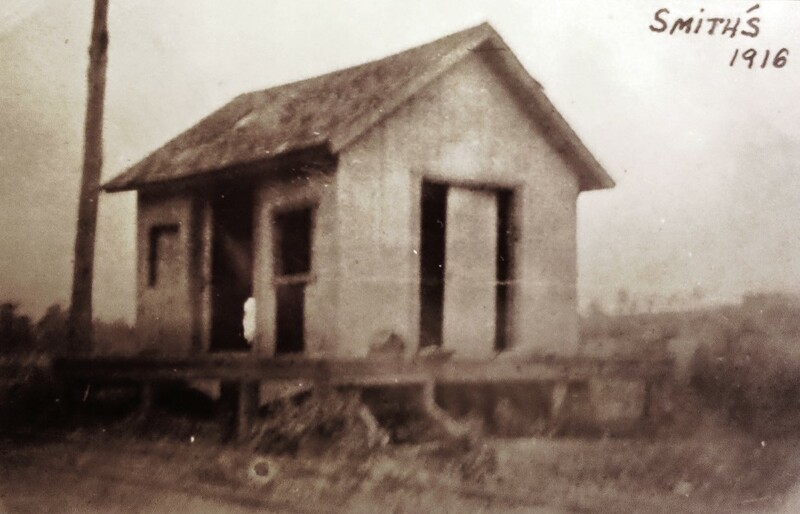 This was a small shed that the CV used for a station here on opening in 1871. 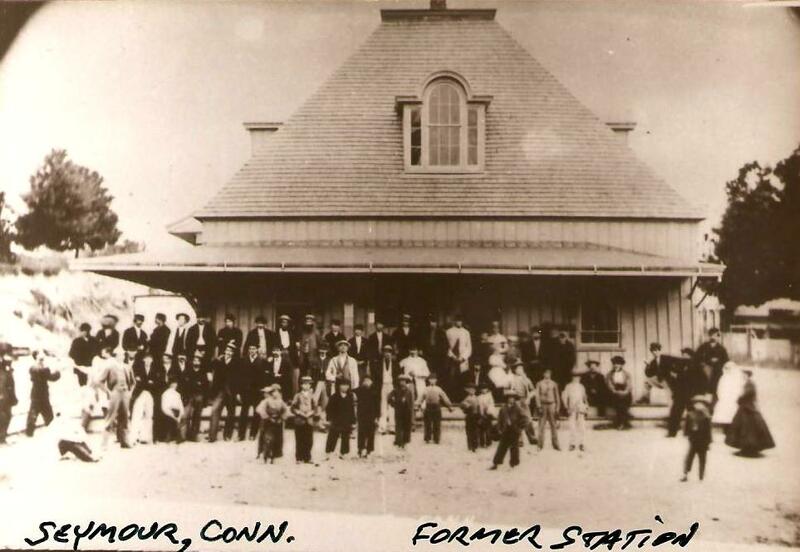 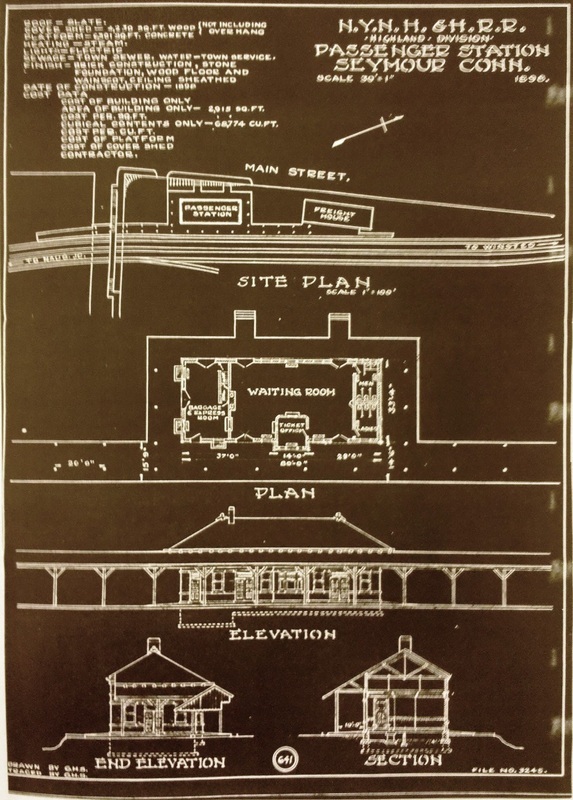 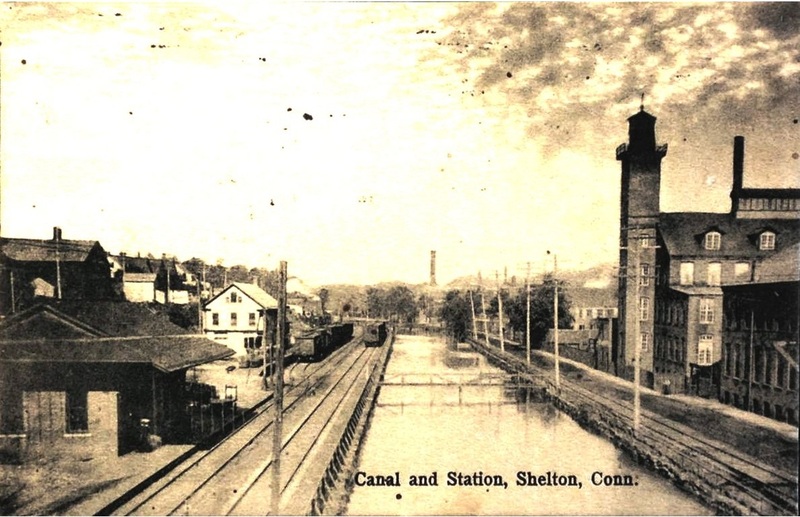 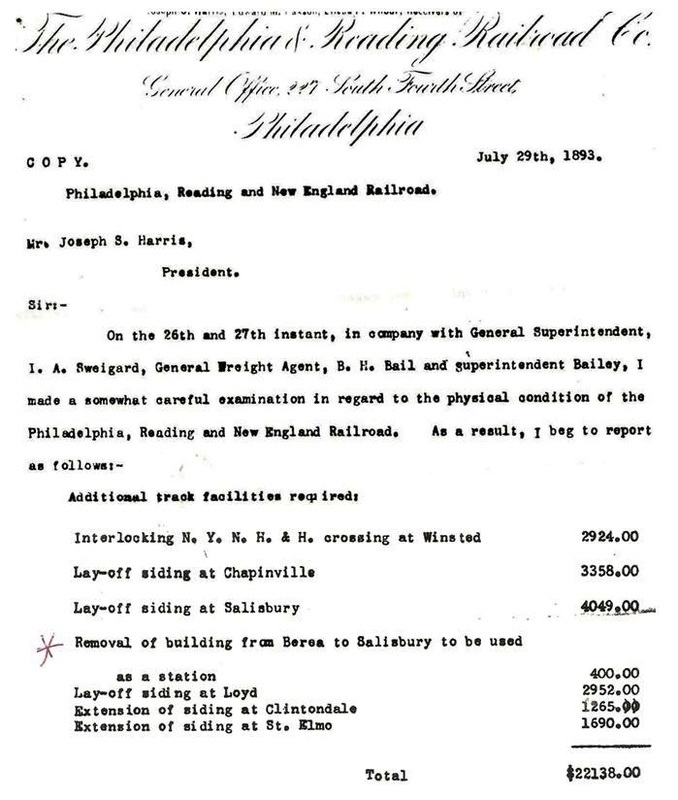 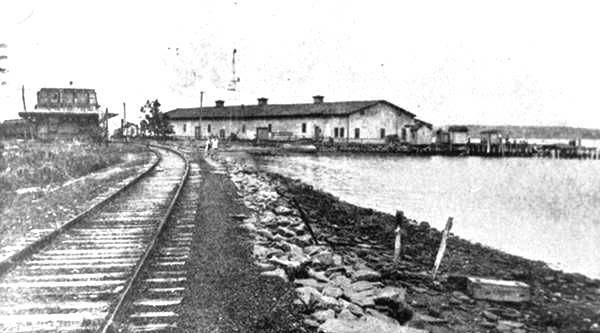 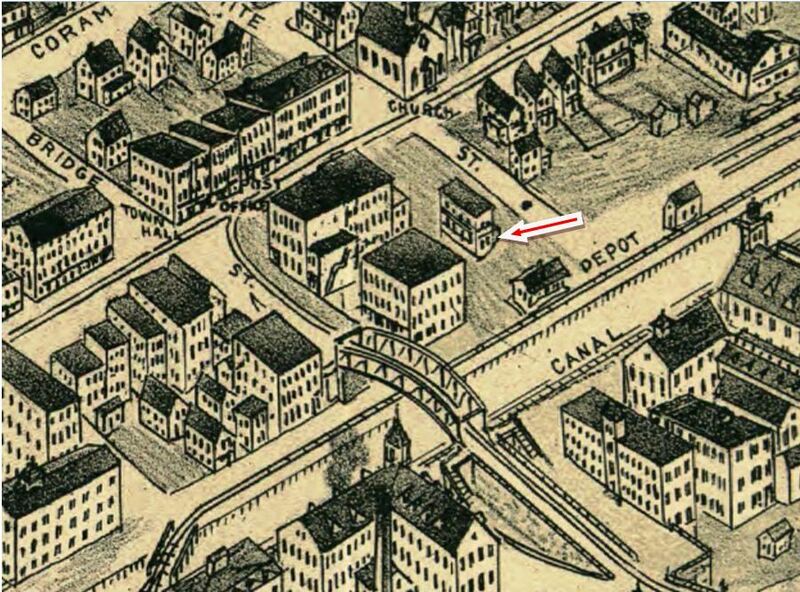 It may have burned and in some ways prompted the building of a union station with the Shore Line in 1873. 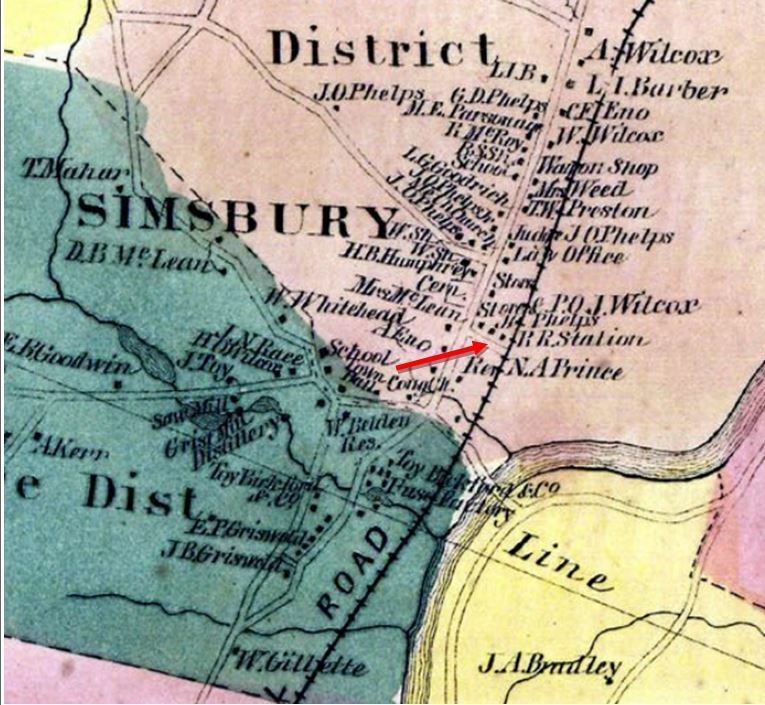 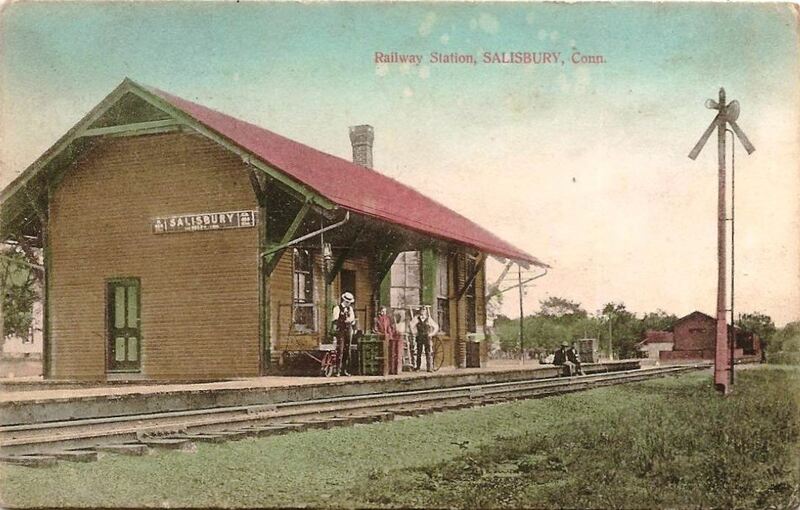 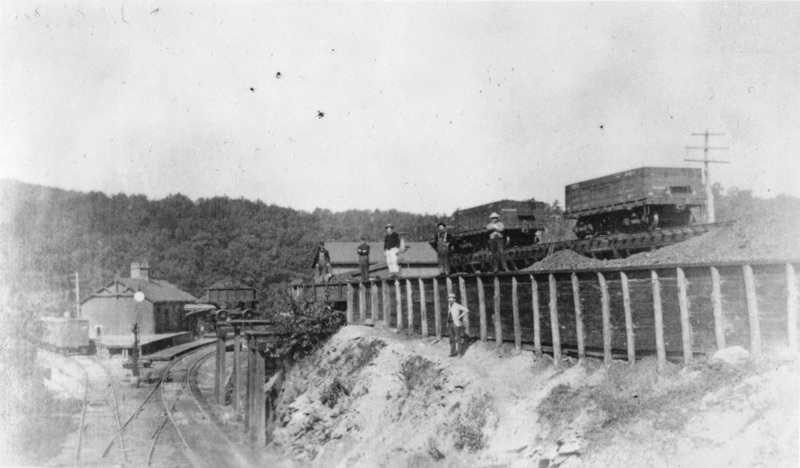 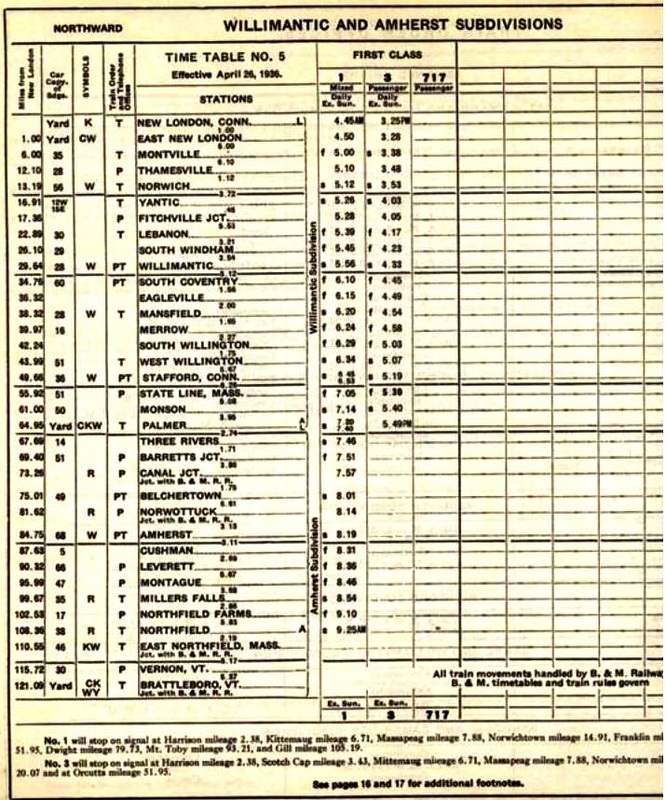 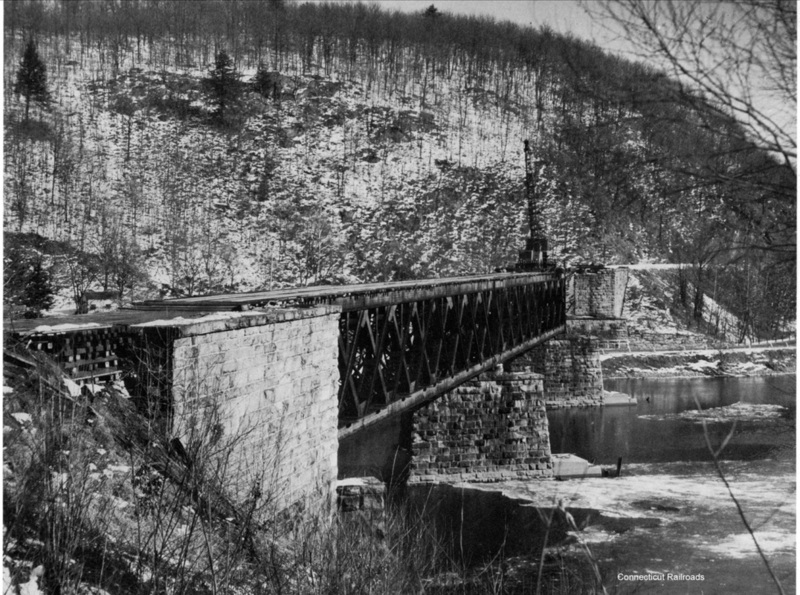 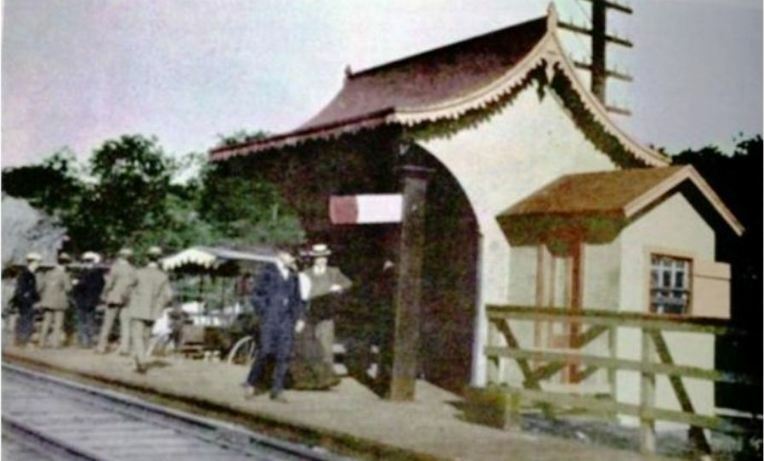 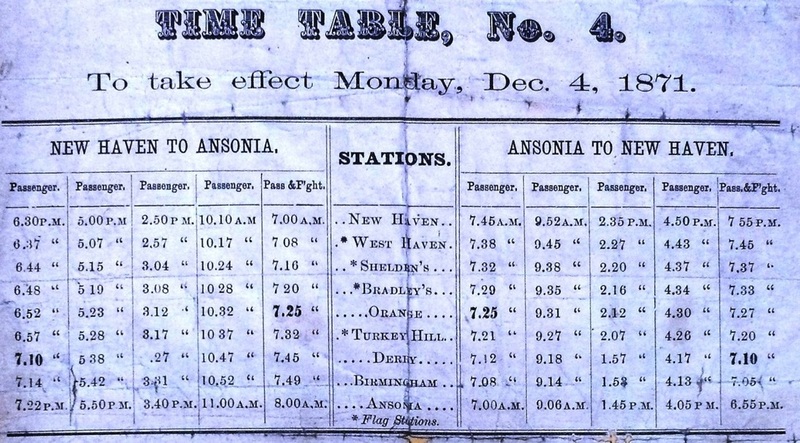 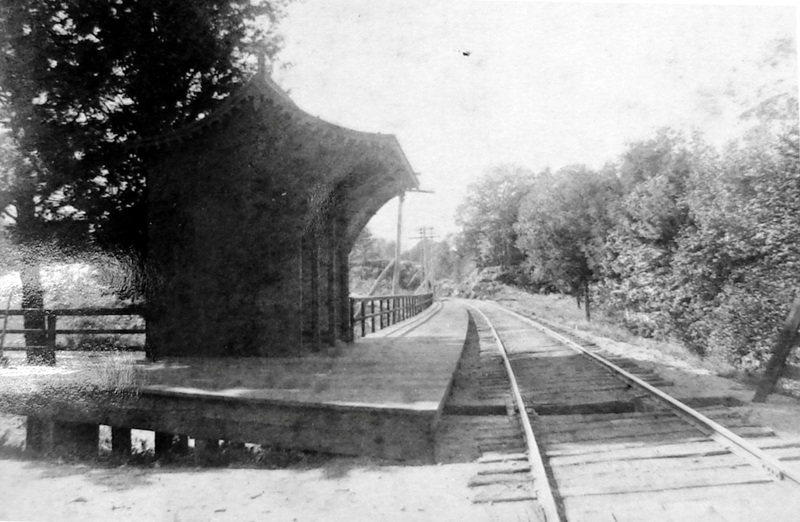 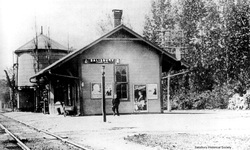 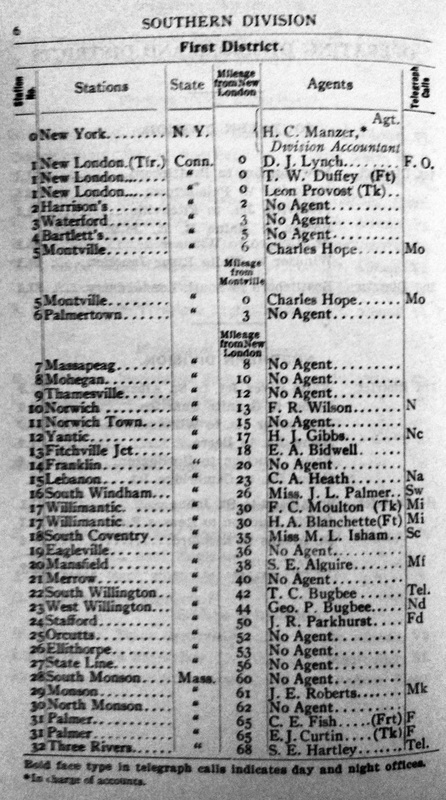 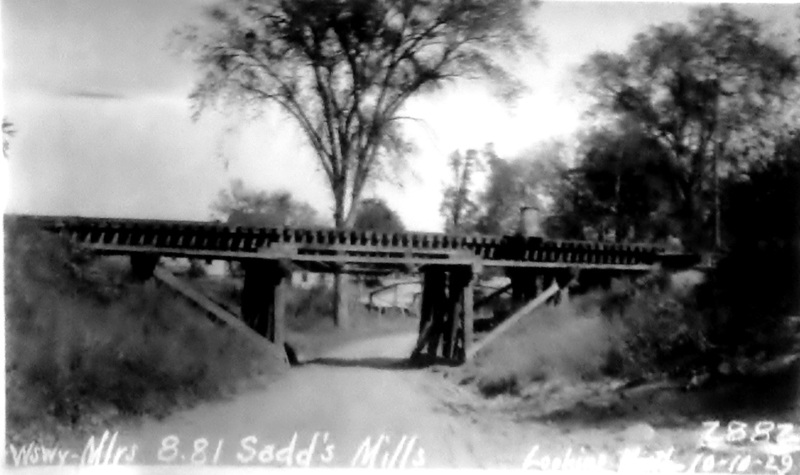 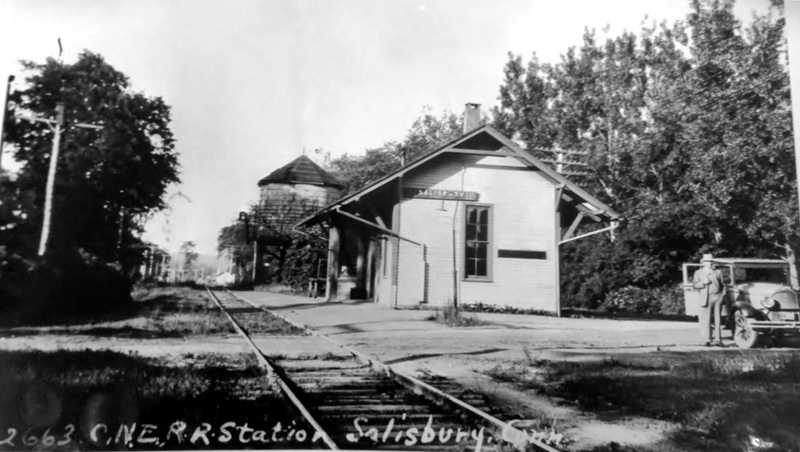 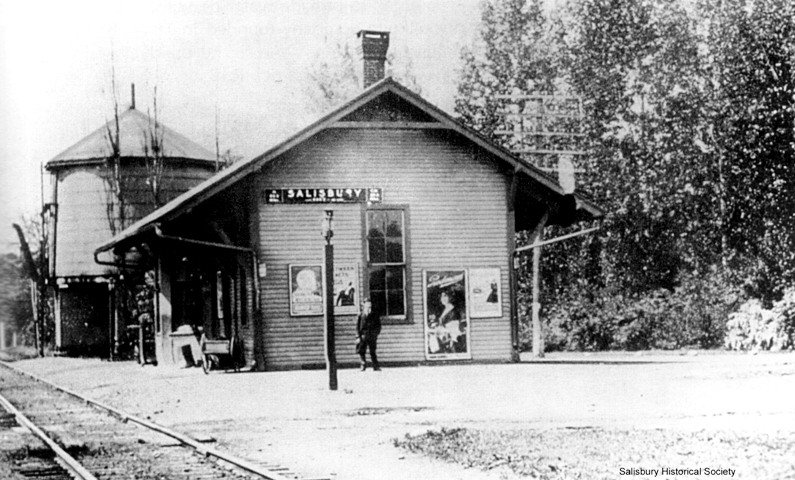 This appears to have been an early, if not an original, stop on the SRR in the town of Southbury and it first is seen on an 1875 timetable. 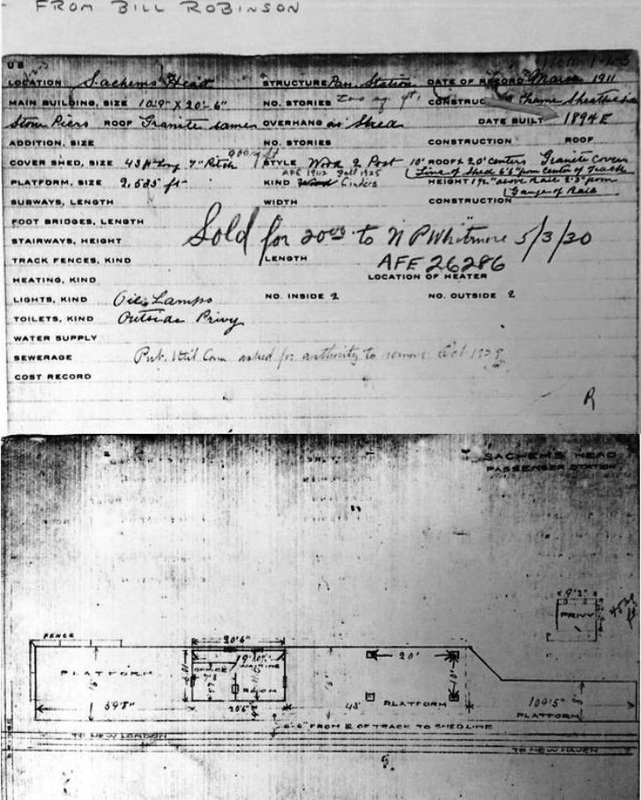 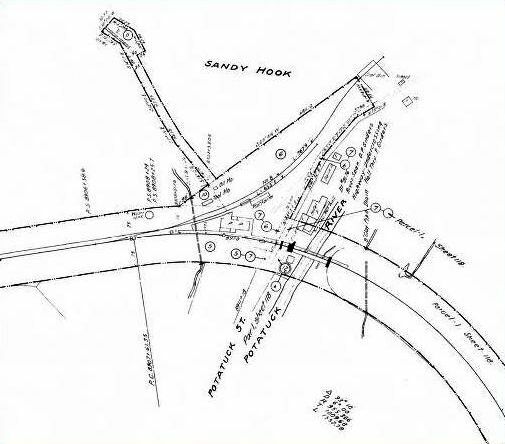 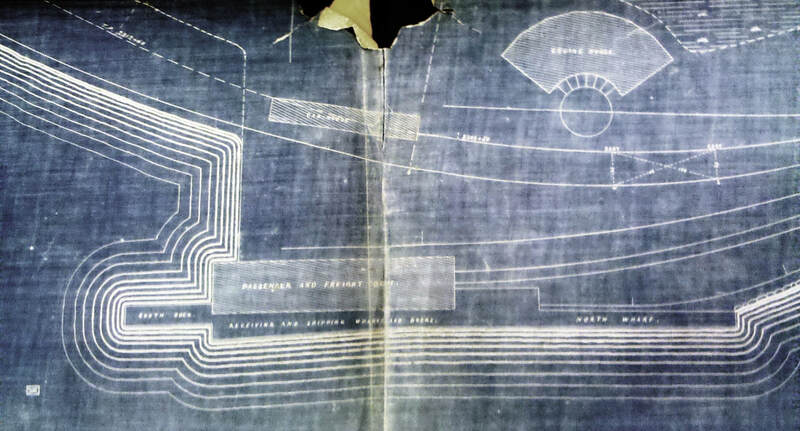 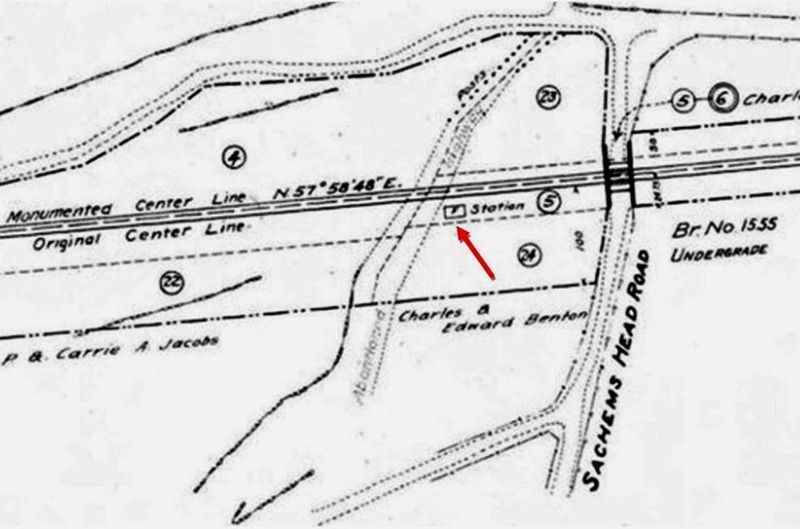 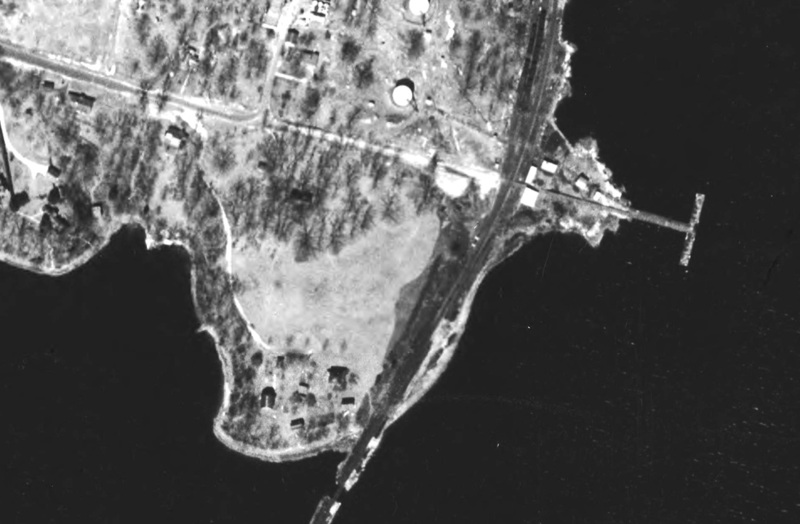 The information cited in the next entry makes it very likely that there was a structure here before the second station was built.